Hooking Up Your UtilitiesBy the time you move in, you want your home to be fully operational. Some apartment complexes or homes may have all the amenities set up for you: water, power, gas, phones, cable and Internet are ready and working without you having to lift a finger. However, those are a pretty big exception to the rule. In most cases, we are left on our own to set up the necessary utilities that will make our home functional after the moving company gets you all moved in. Read on for tips on scheduling your utilities to be turned on. Put the phone book down, close your laptop, and get out a pen and piece of paper: you need to make a checklist. What exactly needs to be turned on in your home? 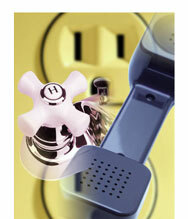 Will you need to schedule water, gas, electric, phone, cable, and Internet to be turned on? Make a list of all that apply. Next, walk through your home. Ensure you have adequate connection, in the right rooms, and in the right amount. Check the living room for a cable outlet. Check the laundry room for washer and dryer hookups. Ensure the stove is hooked up to a gas line properly. If getting the water turned on is on your task list, you want to get that scheduled first. Call as early as you can—at least a month if possible—pay the necessary deposit, and get that water flowing before you move in. If you want to cook and heat your home, then you need the gas turned on. If you want to watch your favorite movie the night you move in, then electricity is a necessity. In most cases, there is little to no competition for providing gas and electric services. Find out from your realtor or homeowner who the provider is, call them, pay the deposit, and schedule the turn-on. Again, schedule this a month in advance if you can. Many homes now decide to forget the traditional land line and communicate exclusively with cell phones. However, if you want or need a landline, getting the phone company on the line as early as possible is once again the order of the day. Unlike water and power, there is likely to be a significant amount of competition for your business. Call around, research, decide who you want to go with, and schedule your service to be turned on when you move in. You may not necessarily want cable and Internet turned on the day you move in. Having an installer on the property at the same time as the movers can be awkward and inconvenient. After researching and selecting the cable and/or Internet provider you want, schedule them to come in last, at a time convenient for you.